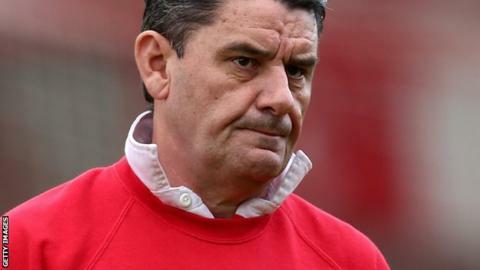 Crawley boss John Gregory has admitted his budget will be cut for next season. Gregory said the League One club, which appointed him in December, will be making various reductions on and off the pitch from this summer. He told BBC Sussex: "The administration side of the club has had to make cuts. People have lost their jobs. "There will also be cuts on the playing side and the amount we can spend on players. We have to be very careful how we spend our money." Crawley this week announced the departure of first-team coach Guy Whittingham, whose contract was not renewed. Meanwhile, club secretary Chris Hough and physiotherapist James Barker have both been made redundant. Gregory is keen for the cuts to have as little impact as possible on his squad. "I don't want to be starting next season having 10 members of staff and only 14 players," he explained. "It would be much better for us to have 20 players and possibly only four members of staff. I'd rather spend the money on the players. "There are cuts that have to be made, because we know our income is very minimal. We rely on benefactors to keep us alive. "That's really hard and each year it gets more difficult for investors to put their hands in their pockets, so we have to make the right decisions financially."